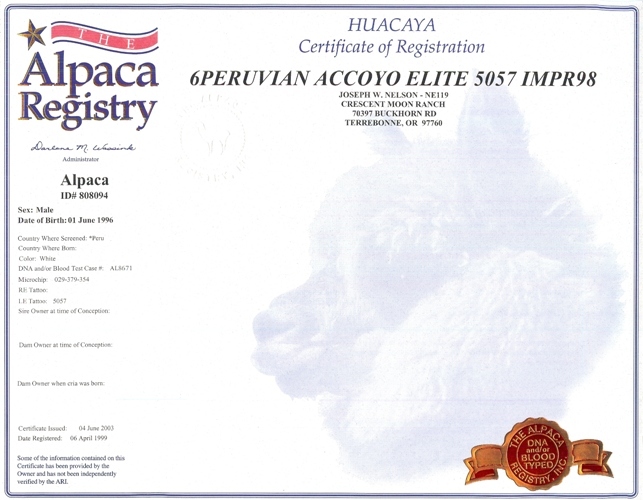 With only 16 registered offspring when we purchased him, Elite represents Accoyo genetics barely seen in the US. Displaying a fineness that is newsworthy (18.2 micron at 6 years of age!) his fleece is the brightest we've ever seen. 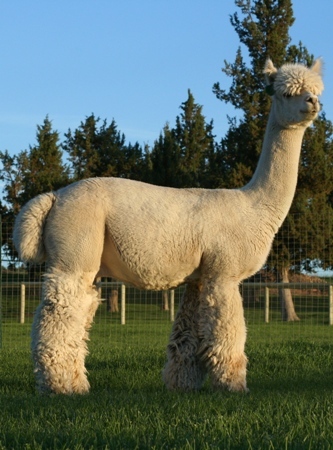 We love the qualities he has brought to our breeding program, especially the phenomenal fleeces.